A caravan in Peterborough was deliberately set on fire. A crew from Stanground and the north roaming fire engine were called out at 9.13am yesterday (Tuesday, March 19) to Newborough Road. Firefighters arrived to find a caravan well alight which they extinguished using hose reels. They had returned to their stations by 10.20am. 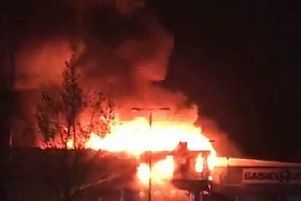 Anyone with information on the fire should call police on 101 or visit www.cambs.police.uk to submit an online report.